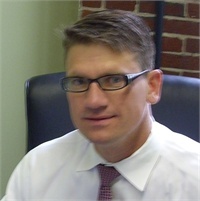 Troy has been servicing the Granite Staters financial needs since 1995. Prior to starting Flatiron Financial Group, LLC, he was responsible for over $200 million in client assets, heading up the private client division for local branch of a Charles Schwab & Co. Born in Lebanon, NH, he is familiar with the New England values that are important to clients. Attending Central Connecticut State University in New Britain, CT, Troy began his career in Simsbury, CT at The Hartford, which got him interested in helping people create their financial strategies to work toward their goals and dreams. Troy holds his NH & FL insurance license covering life, long term care, & disability also holds Securities Series 6, 7, 9, 10, and 66 registrations, an (IAR) Investment Advisor Representative in New Hampshire—all held at LPL Financial. He is also a member of the Manchester Chamber of Commerce, Lincoln-Woodstock Chamber of Commerce, an active member of the Litchfield Youth Soccer and Litchfield Recreational activities. Member of the Board of Finance at Londonderry United Methodist Church. With a wonderful wife, Melanie, 2 boys and 2 beautiful twin girls at home he has a great understanding and appreciation of what it takes to balance family and business, and an occasional round of golf.